The concept is a simple one for Madrid’s innovative new “Robin Hood” restaurant: by day, it’s a normal cafe, serving meals and refreshments to locals; but each night, it is transformed into a “social restaurant,” providing quality hot meals to about 100 of Madrid’s homeless, serving more than 1,000 meals during the first week of operation alone. The concept behind the new restaurant is in keeping with its name of “Robin Hood,” which is to spread the wealth of those who pay 11 euros for a fixed-price meal during the daytime by reinvesting the proceeds into feeding the homeless in two shifts each night. The brainchild of well-known Catholic priest Padre Ángel, founder of the 56-year-old Mensajeros de la Paz non-profit organization that works with the poor, the homeless and refugees across Spain, the first Madrid “Robin Hood” restaurant was launched earlier this month with the help of three Michelin-star chefs who turned up to cook of the homeless on opening night. 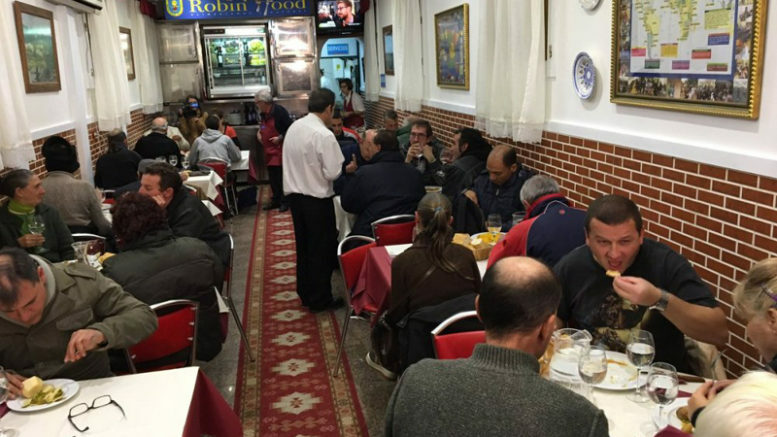 The opening of additional “Robin Hood” social restaurants are slated for Madrid, with branches expected to open in Toledo, Ciudad Real and Gijón prior to Christmas.